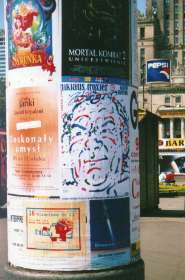 One of the accompanying events of the Biennale was Niklaus Troxler's one man show at the Galeria Grafiki i Plakatu in downtown Warsaw. 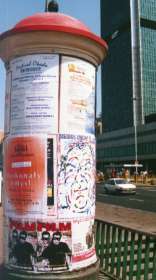 Master portraitist Waldemar Swierzy made the poster for the exhibition which was plastered all over the town. 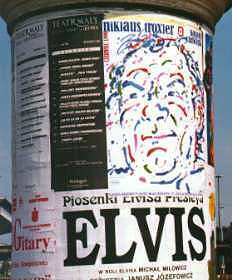 Even Elvis retreated.